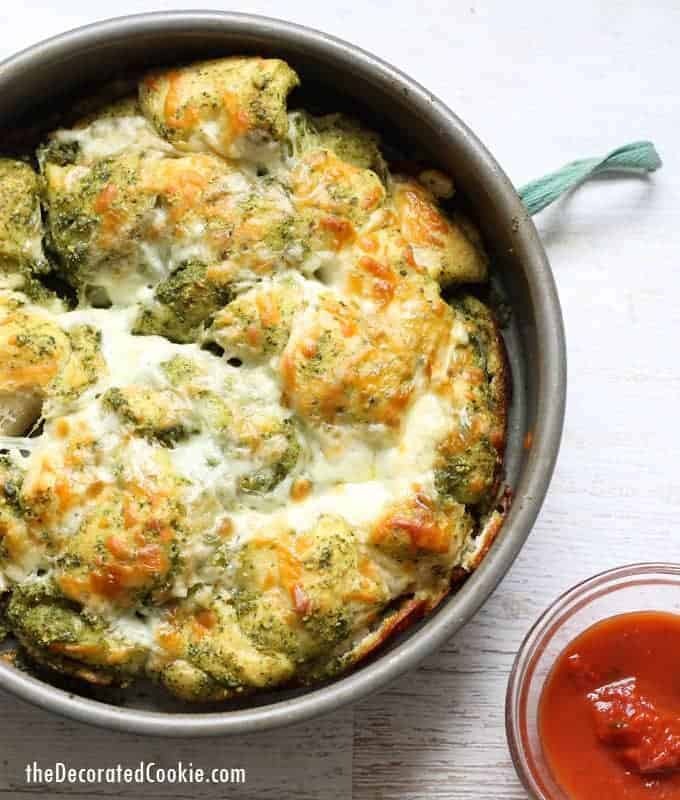 Pesto appetizer idea: Easy, 4-ingredient, pesto mozzarella pull-apart bread. 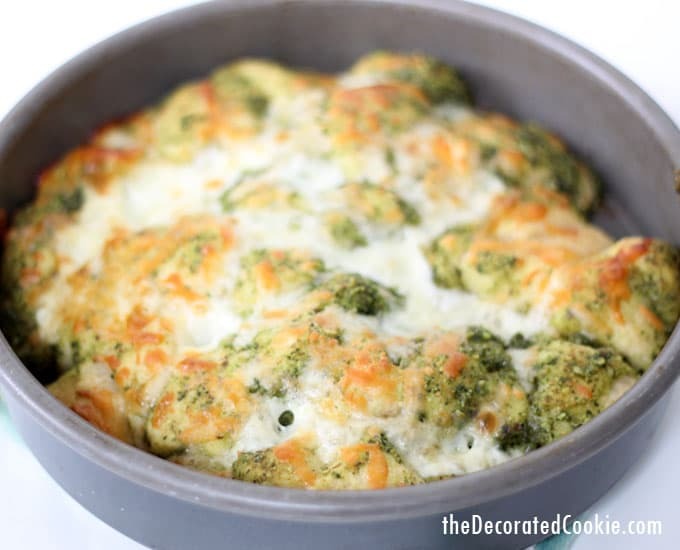 Pesto mozzarella pull-apart bread for the win! 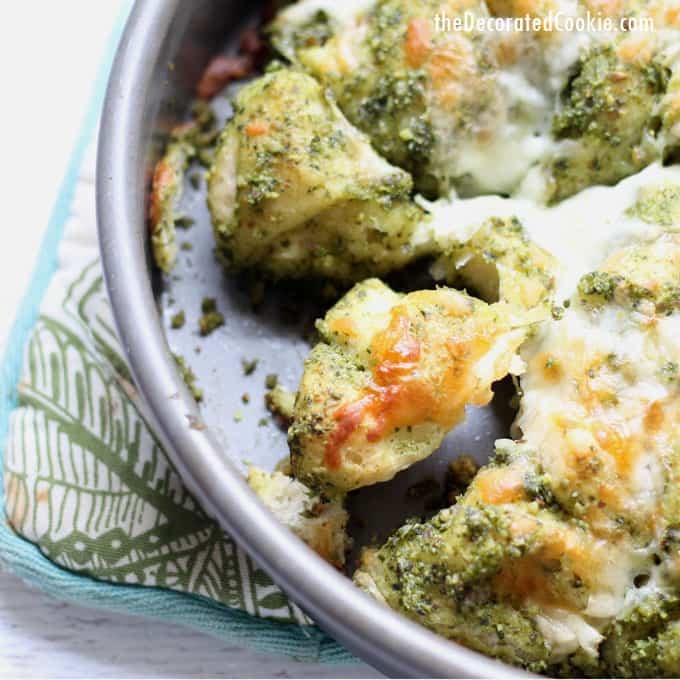 I’m not sure I can possibly even articulate how incredibly delicious this pesto mozzarella pull-apart bread is. Oh. My. Word. My favorite flavors in one dish. I hereby pledge to serve this at every party I ever throw. 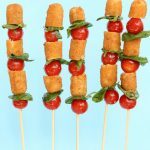 It’s super-easy to make (only 4 ingredients! ), but it is super-impressive to serve. I could eat this entire batch, by the way. 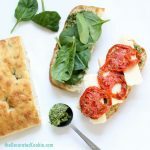 This dish has just the right amount of pesto flavor and perfectly-browned mozzarella to turn plain bread into an appetizer to share. It’s easily “pull apart-able” (if I may make up a term), but keep napkins handy. 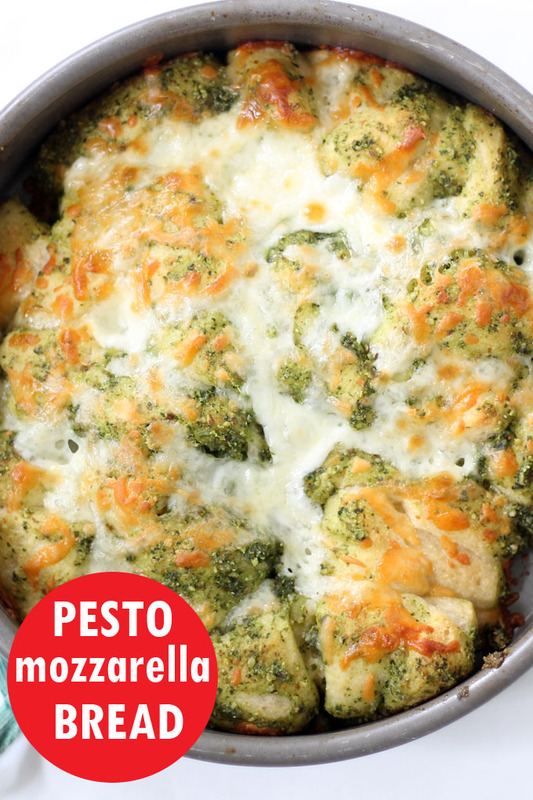 If cheese is your thing (I understand, I do), then add even more mozzarella on top. 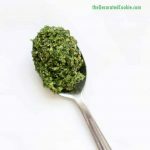 Need an awesome pesto recipe instead of using store-bought? Here’s the BEST mix-and-match homemade pesto recipe. For this bread, I used a combination of kale, basil, and almonds, but the traditional mix of basil and pine nuts works wonderfully, too. 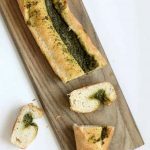 You can use store-bought pesto or your own recipe if you like. 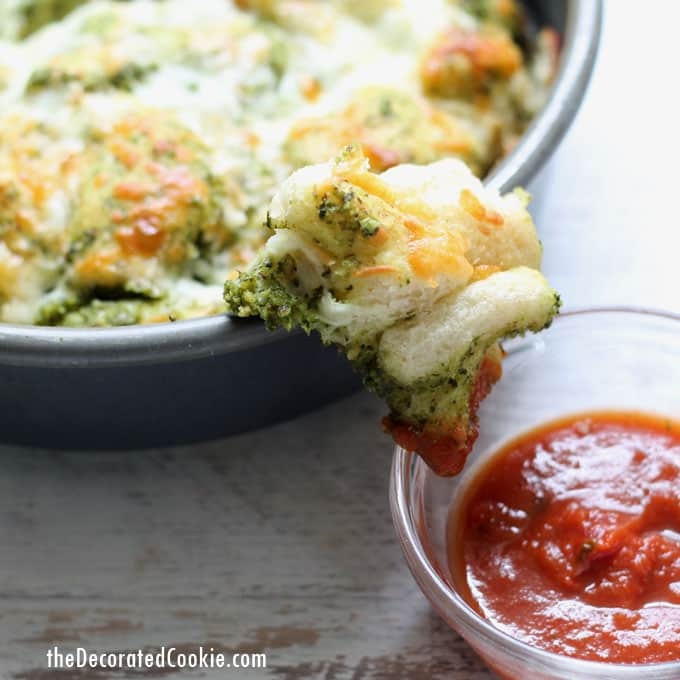 If desired, serve with warm marinara sauce for dipping. Preheat the oven to 375 degrees F. Melt the butter and generously brush the butter on the bottom and sides of a 9-inch cake pan. Set aside. Open the breadsticks, separate, and cut each stick into pieces with kitchen scissors (3 to 4 pieces per bread stick). Place in a bowl. Add the pesto and gently stir to coat the bread. Pour the mixture evenly into the prepared cake pan. Scatter the mozzarella on top. Bake until the top is golden, about 22 minutes. Serve warm. Bake until the top is golden, about 22 minutes.